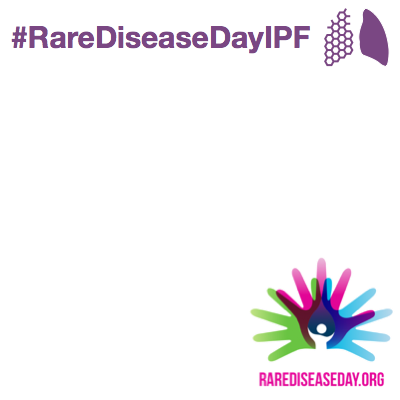 Help us raise awareness of the devastating lung disease Idiopathic Pulmonary Fibrosis (IPF) on Rare Disease Day. IPF kills 5,000 people in the UK every year but it doesn’t have a high profile and is poorly understood. It is estimated that more than 30,000 people in the UK are affected although there is a huge issue around data collection of IPF patients and this figure could be even larger. Life expectancy after diagnosis is 3 -5 years. There is no cure. Help us make a difference.